The Friends of Aztalan website is devoted to information on our non-profit organization to support the State of Wisconsin Aztalan State Park. 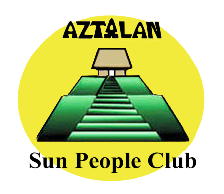 The website will include educational information on our group and the prehistory of Aztalan. Information on our various fund raising efforts in support of building an interpretive center will also be published here.